Does prenatal depression restrict fetal growth? If you have been diagnosed with prenatal depression, you have both worries and fears, as well as hope once you are diagnosed, the cure is a step closer, and you can get the treatment that you need to feel better. But the worries are likely to dominate your mind. One of them, which has a scientific background, is whether your prenatal depression could pose any danger to your unborn baby. Does prenatal depression restrict fetal growth? Prenatal depression has been associated with low birth weight newborns, as well as a slower fetal growth through several studies. The simple answer to the question whether prenatal depression restricts fetal growth is, unfortunately, yes medical evidence points in that direction. According to one study from 2009, pregnant women suffering from prenatal depression had a 13 percent higher rate of premature deliveries compared to their non-depressed sisters. And when looking at fetal growth restriction, researchers also found that depressed mothers had a 15 percent higher chance of giving birth to low birth weight babies. These are medical facts, but that by no means indicates that mothers are responsible for restricted fetal growth, or that it is in any way their fault that they suffer from prenatal depression. 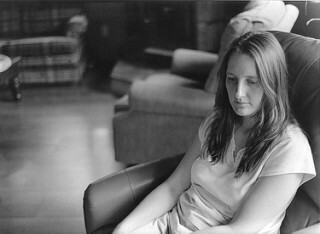 What the fact that prenatal depression can contribute to fetal growth restriction, premature births and babies that are too small even at term does mean is that prenatal depression is a condition that should be taken very seriously, and pregnant women could benefit from being screened for prenatal depression symptoms. Prompt treatment, sometimes through therapy and sometimes through antidepressant medication, is extremely important and could prevent babies from being born prematurely, or with low birth weights. If you have any of the symptoms of prenatal depression, please tell your doctor about it immediately. Instead of suffering in silence, and needlessly, get the help that both you and your baby deserve. Is it possible for herbal supplements to interact with birth control pills? Can vitamin deficiency cause anxiety and/ or depression?